Measuring campaign effectiveness shouldn’t just be about conversion rate percentage – although that is a large part of the measurement process. We share 5 additional metrics you should measure to help you determine the effectiveness of your firm’s digital marketing campaigns. You’ll be keeping an eye on your website traffic regardless of whether there’s a campaign running anyway, but taking notice of how much your traffic has increased from before the campaign started, to while the campaign is running and after the campaign has ended. Monitoring the volume of traffic to your site can help you determine how much your campaign has influenced your traffic. If the conversion rate doesn’t also increase along with your traffic, this is where you can start to decipher what is causing the lack of conversion rate increase – this is why measuring your traffic is important. Through your audience overview section in Google Analytics, you can see how many visitors are new and how many of your visitors are returning. It’s important to measure this throughout your campaign; if you’re getting an increase in new visitors initially, this can mean your campaign is raising awareness of your firm, bringing new people to your site. As your campaign progresses, if you’re witnessing even a slight increase in returning visitors, this could mean that the users are more familiar with your firm, and are returning to view more of your campaign content. Looking into what pages the users are viewing will help you confirm this. Email marketing is a channel that can deliver a high conversion rate for your firm. Why? Well, the people who make up your database will have signed themselves up to receive email notifications from your firm, so they’re already aware of you! Did you know that 15% of marketers surveyed say their company still does not regularly review email opens and clicks? (MarketingProfs, 2016). Don’t become part of that statistic – measure your email click through rate to determine how effective your campaign is! If you’re getting a high open rate but a low click-through rate, for example, it sounds like it could be a problem with the email copy itself! Do a bit of investigation work – and your email marketing campaigns will be converting highly before you know it! 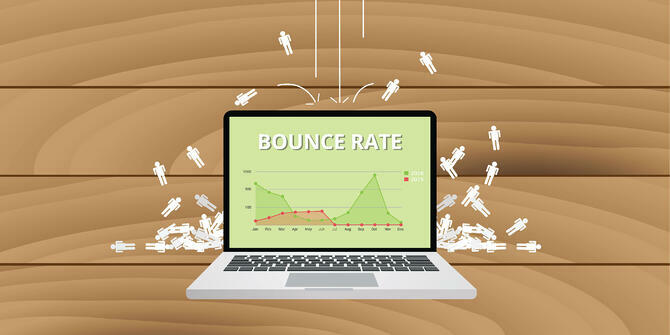 Bounce rate is a great indicator of campaign effectiveness. If your bounce rate is 100% on your campaign landing pages, for example, there’s definitely something wrong – perhaps there’s a disconnect between your landing page and the referring call-to-action (CTA)? Consistency is the key to a healthy bounce rate percentage. Try to keep the offer title the same as it’s displayed on the CTA as this can help decrease your bounce rate! You’ve shared a piece of content on a third party website you know your audience visits, so how are you going to tell how effective this piece was? You can measure the traffic referred from the website itself and you can measure its popularity within the industry by analysing the backlinks generated from it to your site. Using backlink checker tools such as Moz, Majestic or Ahrefs, can help you determine just how effective this piece was at engaging your audience and the industry as a whole. Inbound links don’t just increase your firm’s brand presence – they can also contribute to the overall strength of your website! Measure your campaign effectiveness confidently, with the help of our FREE to download analysis templates – access yours now!